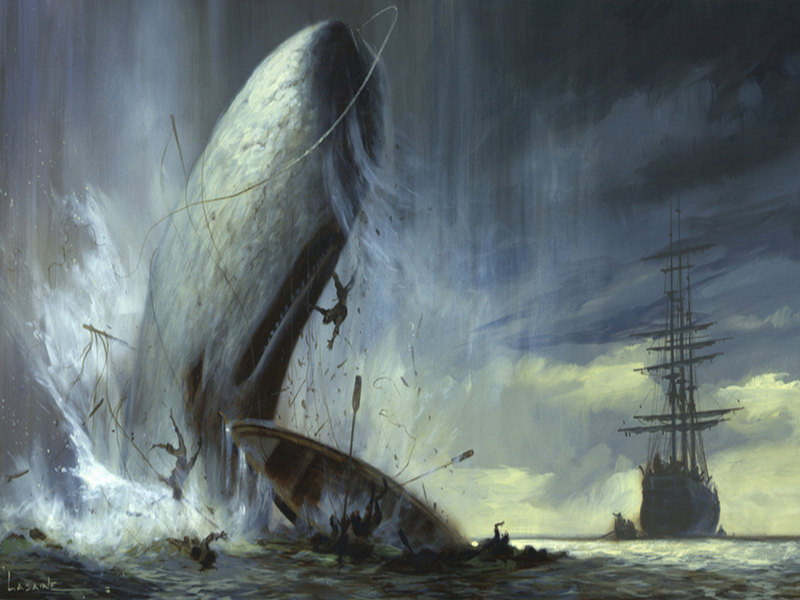 Moby and Melville. These names frame one of the most enigmatic and yet magical periods of my entire life. Melville’s writing is a once in a lifetime adventure through some of the most complex and relevant issues of existence. I shared Melville with a small group of culturally and chronologically diverse students; a chance collection of the best kind of individuals one could only hope to ever meet. Truly, I can’t imagine having gone through my life without them and I miss them often; their open minds, their curious souls, their compassionate hearts, not the least of which was a professor I am certain I will never meet a superior to. (Dearest Lord, I ended in a preposition, forgive me!) All of this, amidst the immersion and subsequent discussion of over 20 significant novels, works, histories, and poems culminating with a party the focus of which was upon a white whale cake with a red velvet center. And find someone to share the experience with. You won’t regret it.